It was hard to send my kids off to school this morning. I know they're in great care and have a staff who loves them. But I couldn't get out of my head the parents in Oklahoma who don't get to snuggle their kids today. 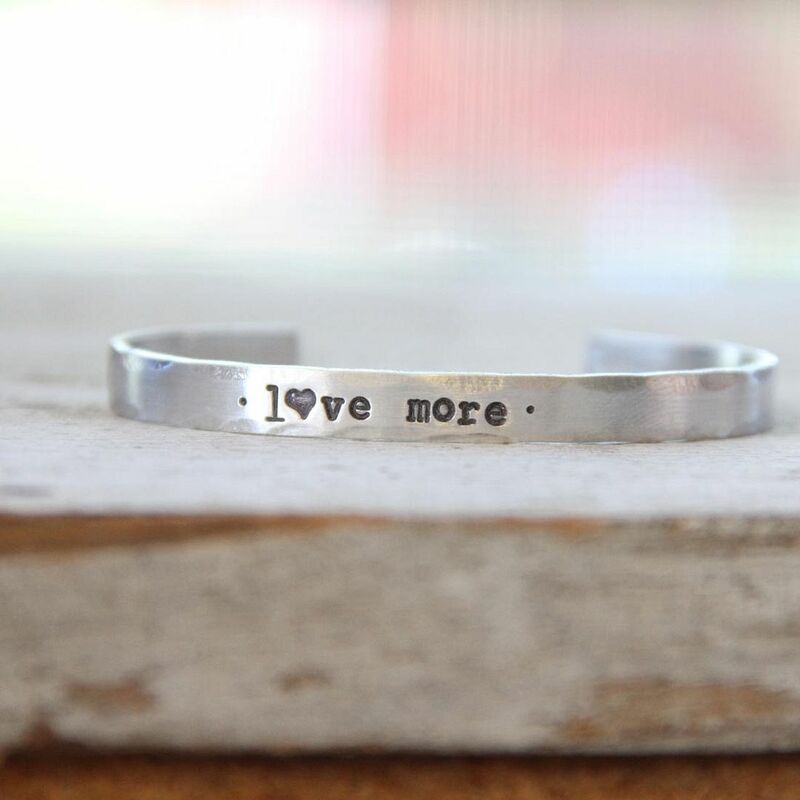 Through June 1, we're giving $10 from each Love More bracelet to Convoy of Hope to help the tornado victims. Convoy of Hope is a beautiful organization from my home town of Springfield, MO and they do amazing work. They were there for Joplin, and now they're there for Moore. A personal note: Can I just be honest here? Of course I can. It's my blog. I didn't want to do this. I don't want to be the predictable "Oh, there's a disaster, let's see what The Rusted Chain is doing..." kind of company. But I also know my life is not about me. I've said many times, I don't do very many things well. But one thing I do well is make jewelry. And that allows me to give in much bigger ways than I ever could on my own. Yesterday I talked and texted with some of my assistants. "Is it too soon after Boston? I feel like we should do something but I just don't know." I don't want the spotlight to be on US. It's not about The Rusted Chain. It's not about "ohhh, look at us, we're giving!! We're so charitable! notice us." I was very worried about what people would think. And I just felt like God was whispering, "Don't worry about what people think. Do what you know is right. The end." It's absolutely not about us. It's not about me. It's about giving more. It's about loving more. Sacrificing more. We do a lot of giving quietly, privately. But doing them publicly sometimes allows us to give in a much bigger way. Thank you for using your talent to help others in their time of need! As an Okie, I thank you. Like I told you, I am about ten miles from where the storm hit, and mercifully, none of my family was affected. But my greater family is Oklahoma and this will have effects that last forever. I will never think you are showing off by giving; rather, I will always think how well you display your amazing, giving heart. The world needs more of you, Beki. I count on you to provide a way to give that offers me a chance to spread the word too. Each time I wear my charms from the Japan and Haiti fundraisers I am able to talk about why I wear it, not just because it is beautiful, but because we need to remember. Life is precious, any of us can be affected, but by grace most of us are only indirectly affected. Thank you for offering a way to contribute, people need to know they are not forgotten today and in the years to come. Is the Oklahoma handstamped necklace for sale? I tried to find it under products and was unsuccessful. I would LOVE to buy one. I think those of us who know your company know you have a big heart. I think it's so great you use your talent to bless others. Thank you!